Let me say it right now. If a search engine pulled up this post because you’re looking for the American reality-TV singing competition called The Voice, you’re in the wrong place. 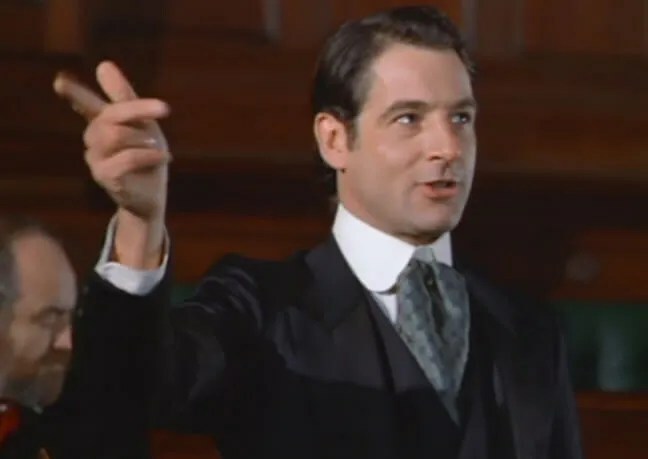 The only Voice in question here is that of British actor Jeremy Northam. An educated guess on my part says that Mr. Northam would rather have bamboo sticks shoved under his fingernails than sing on a reality show. Well, I’ve never met the man, so for all I know he’s actually pining to be asked to sing on Pop Idol… I just wouldn’t put any money on it, if I were you. If you’re still reading this then you probably know that the Jer Blog is exactly the right place to be if the subject is great voices. You know that Jeremy’s is a truly glorious voice, one that deserves to be referred to in initial capital letters. So let’s give The Voice our full attention. I mean his speaking voice, of course. 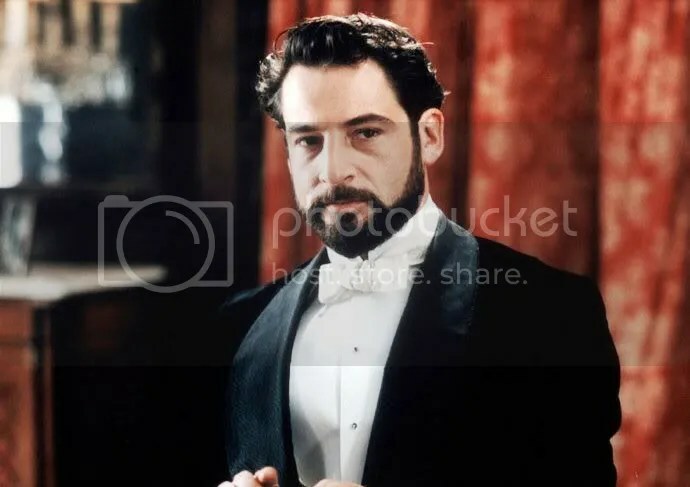 Although he was wonderful when he sang as Ivor Novello in Gosford Park, modest Jeremy disparages his singing and sticks to roles that don’t require him to use that particular talent. 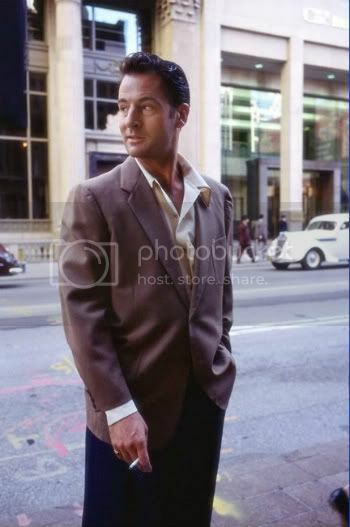 It’s not exactly breaking news that his speaking voice causes people to sit up and take notice; critics as well as admirers have long heralded it as one of the features, along with his good looks and oodles of acting talent, that make him such an arresting presence on screen. Adjectives used to describe his voice include melodious, deep, rich, resonant, seductive and mellifluous. I was a little fuzzy on the exact meaning of that last word, so I looked up mellifluous in my Merriam-Webster’s (11th ed.) and found this definition: “having a smooth rich flow.” Jeremy’s voice certainly does have that quality. The word’s roots are in the Latin for “honey” (mel) and “to flow” (fluere). Honey suggests sweetness, which is also entirely appropriate here. Now add to those ideas my own phrase, “capable of making a grown woman melt into a puddle,” and you’re approaching a good description of the Northam Voice. Don’t take my word for it: a female interviewer once called it “one of the sexiest voices Hollywood has ever pumped through loudspeakers.” I guess she was left feeling a little “puddly” after hearing The Voice, too. A great voice is a gift, but Jeremy has taken his gift and honed it like a fine instrument. He has learned how to bring out all its varied qualities and use it to its best advantage. 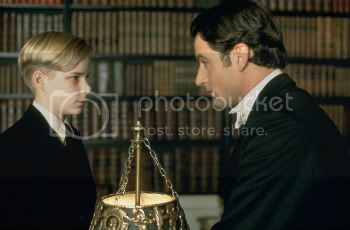 He can make the rafters ring with its most sonorous tones or draw the listener in close with its most intimate murmurs. He can give it the gentle touch of a butterfly’s wing or the hard, cold edge of steel. He can make us laugh with its silliest accents or move us to tears with its heartfelt emotion. 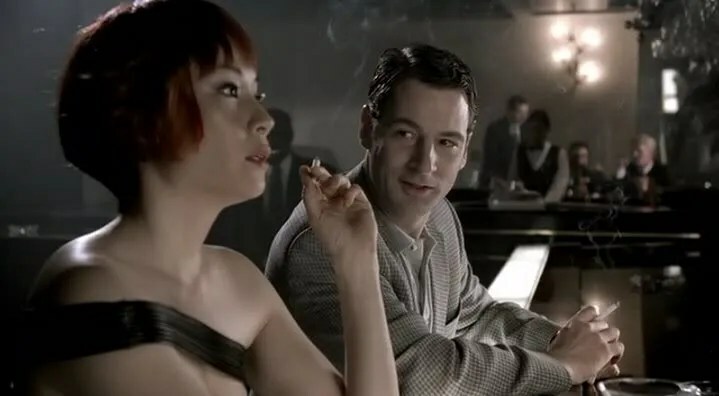 Although you can hear the effect time and cigarette smoke have had—it’s deeper and gruffer than it was twenty years ago—his voice has lost none of its strength. Rather the reverse is true, I think. With every year that passes, with each new role, Jeremy comes closer to realizing the full extent of its power. 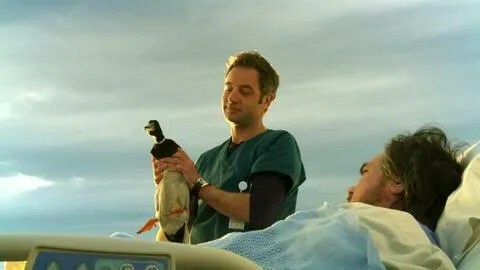 His voice has been in my mind quite a bit lately, and probably in yours too, because it has been a year since we’ve seen the man—since we saw Dr. Matt Proctor gazing off into the sunshine from the roof of MT One in the final frame of Miami Medical. 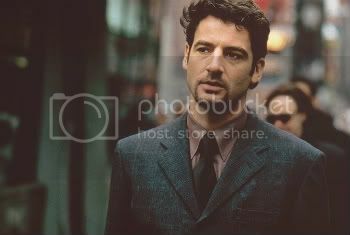 While going a year without seeing Jeremy Northam is definitely a bad thing, it’s not as bad as going a year without seeing or hearing him. He has at least made his presence felt this past year by putting his splendid voice to excellent use in several audiobooks. 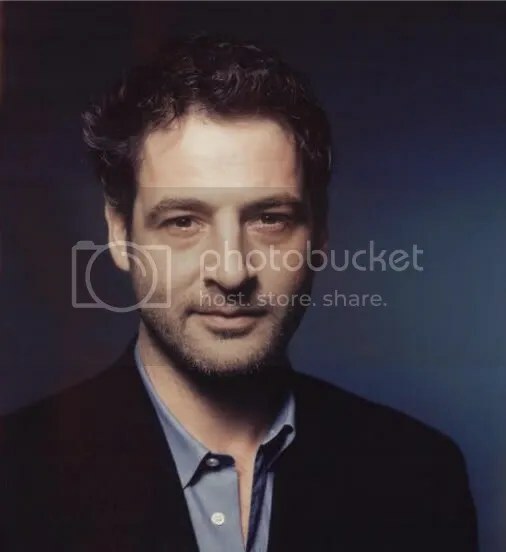 Nor is going a year with only his voice as devastating as it would be if we were talking about a lot of other actors, because Jeremy is an extremely talented audiobook performer. 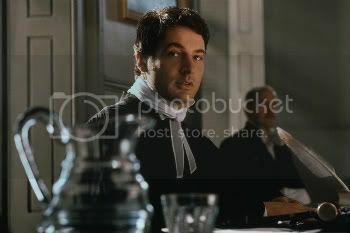 I use the word performer and not reader or narrator purposely; it is the only term that does justice to the way his considerable acting skill brings to life the words on the page. Whether reading narration, exposition or dialogue, he is adept at creating atmosphere and characters by giving his voice various inflections (arch, indignant, dejected) or qualities (raspy, smooth, velvety). In an audiobook Jeremy gets to play every part. His use of accents and those wide-ranging voice effects make for characters as vivid as any he’s given us on screen. 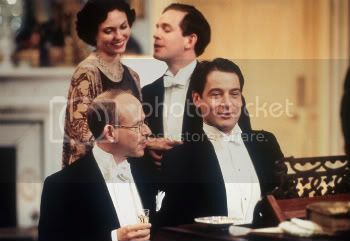 I don’t need to see gloomy Puddleglum in The Silver Chair or breathy, effete Antony Blanche in Brideshead Revisited to be left helpless with laughter at their comic antics. On the other end of the emotional spectrum, the voice Jeremy gives Jack Miller, the narrator of Dark Matter, is so moving that it literally haunted me for days after I finished listening to Michelle Paver’s ghost story. For a Master Class on Audiobook Acting just listen to the European Traders’ Association Lunch passage in Our Man in Havana. I’ve lost count of how many different accents and voices he creates in the scene, but it’s a jaw-dropping tour de force which is nonetheless completely in service to the story. Jeremy’s voice effects always add to, and never distract from, our appreciation of an author’s words. 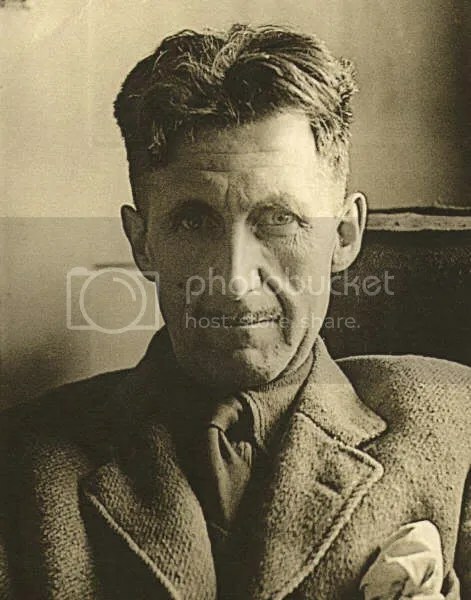 For more on his audiobook performances, I refer you to Gill’s excellent Jer Blog reviews of Down and Out in Paris and London, The Aspern Papers, Dark Matter and most recently Homage to Catalonia. 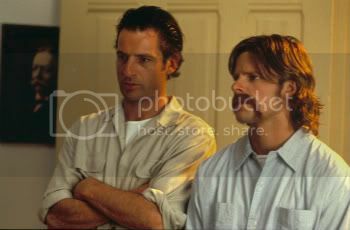 Of course, given our druthers, we like to see as well as hear Jeremy’s acting virtuosity. I’ve been aware for a while now that how a character sounds is part of the persona he creates, but recently, with the audiobook work in the forefront of my mind, I’ve been reconsidering how he utilizes his voice when he’s acting. To what degree does he alter his voice? How? And to what effect? 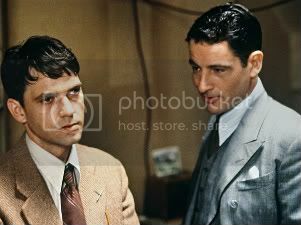 When I think of Jeremy modifying his voice for a role, his uncanny Dean Martin impersonation in Martin and Lewis leaps to my mind. It shows how completely he can change the way he speaks and sustain it throughout a performance. Another obvious way he changes his voice is the nearly flawless American accent he has adopted for a number of films. 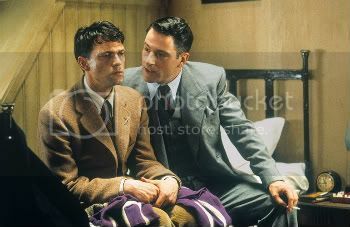 Yet think how different from one another Walter Hagen’s heartiness, Morgan Sullivan’s mildness and Lane Woolwrap’s gruffness sound; Jeremy’s not just “doing an American accent” for those roles. Now consider his two characters in Voices from a Locked Room; they sound quite unlike each other, too. Philip Heseltine’s smooth, educated accents and Peter Warlock’s deep working-class growl are distinct enough that until we see Warlock for the first time 43 minutes into the film, the secret about the two men is almost as hidden from us as it is from Lily Buxton. 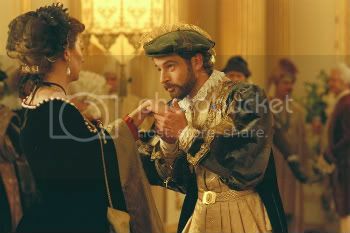 What about the controversial Italian accent Jeremy has as Prince Amerigo in The Golden Bowl? Yes, it’s distracting at first to hear him speak with that accent, but for me it very quickly becomes part of the character, like his beard or the expressive hand gestures. Even if you think it the most ludicrous Italian accent ever perpetrated, which I am far from doing, it serves a vital purpose. It reminds us more effectively than anything else could that Amerigo is a foreigner; and that, however fluent in English he may be, he speaks a different language than the other characters. Without the accent we lose a key to understanding both the Prince’s motivations and also one of the film’s important themes. Clearly the voice Jeremy chooses for a character isn’t just pulled out of the air; it’s thoughtfully designed to inform the character’s identity and personality. Let’s go back to Morgan Sullivan in Cypher. 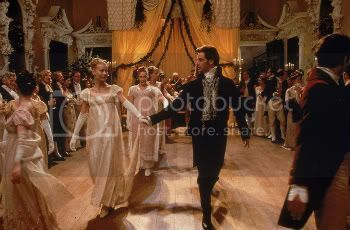 Changes in his appearance signal the gradual transformation Morgan undergoes as the story progresses, but Jeremy adds to the effect by subtly altering the way he sounds as well. His voice starts out soft, hesitant and with a nasal timbre, a typical nerd’s voice. (You know the line. Say it with me now: “Independent contractor.”) But this quality disappears along with Morgan’s eyeglasses and the Brylcreem in his hair. A slight deepening and strengthening of his voice accompany those visual clues. Pick pretty much any character Jeremy has played and you’ll be able to hear the understated changes he makes to his voice to suit the character’s persona. 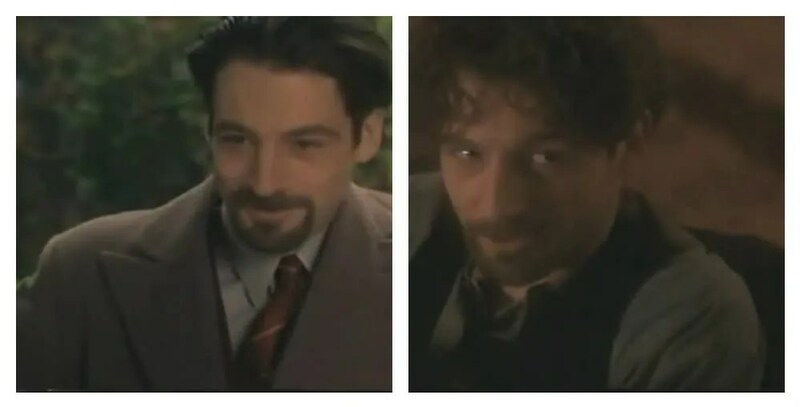 Recently I had occasion to watch Possession and Enigma on successive days and I was struck by not only how different his characters look in the two films but also how different they sound. I started thinking about what makes them sound so different. First, Victorian poet Randolph Henry Ash and WWII Secret Service Agent Wigram are obviously distinguishable by their vocabularies and diction. Ash speaks in images such as “a brilliant dusty hutch of mysteries” and “walked the landscape of my life,” while Wigram uses slangy phrases like “crack codebreaker,” “shiny new shooter” and “seeing each other’s brains out.” And they are worlds apart in tone, too. Ash is earnest and heartfelt, while Wigram is sarcastic and detached. But it’s more than differences in word choice or vocal inflection; Jeremy actually changed his voice to give each character a unique sound. For Ash, he used his lower vocal registers and emphasized what I think of as the “velvet” quality of his voice. Ash’s voice is deep but hushed; it caresses your ear, brushing against it as if it had an actual nap. Wigram’s voice, by contrast, really is smooth as silk. 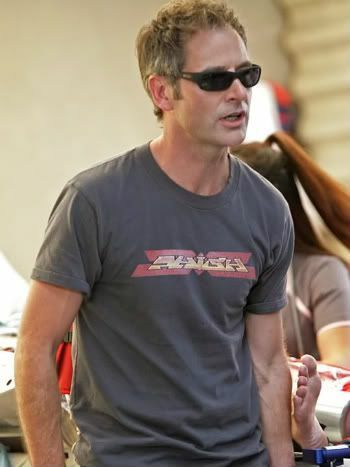 Jeremy accentuated the higher and lighter components of his voice for the snarky spy. Wigram’s words glide and slip insinuatingly into your ear. Many other actors would have been content to use their regular speaking voices for these roles. Unlike most of the other parts I mentioned, here there is no absolute reason for an alteration of his voice. He’s not imitating a famous person, establishing a character’s nationality, underscoring a personality change, or distinguishing between two characters he’s playing simultaneously. 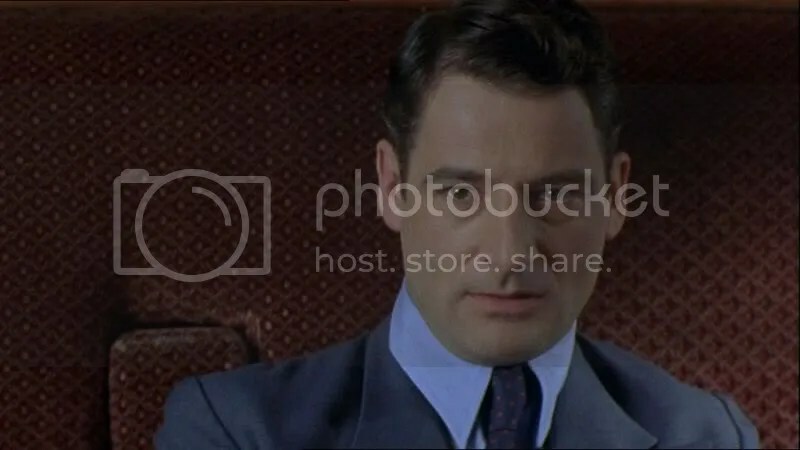 But nevertheless, he makes Ash sound like a passionate man under the spell of an all-consuming love affair, and he gives Wigram the voice of a man whose job is ferreting out secrets among people he considers his inferiors. Their voices fit these two very different men perfectly. 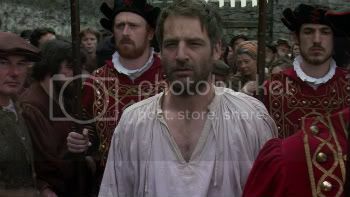 That Jeremy completes the characterizations with his voice shows what a consummate actor he is. It also gives new insight into the famous Northam ability to disappear into a role. Almost as absurd as trying to imagine any other actor playing R.H. Ash or Wigram. 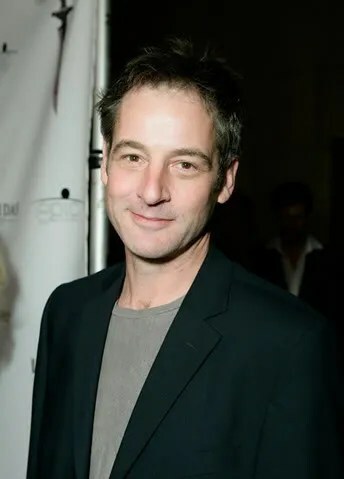 Or trying to imagine Jeremy Northam singing on an American reality-TV show. 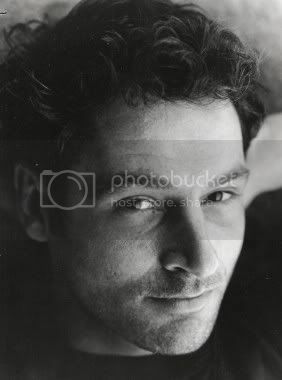 The “one of the sexiest voices” quote comes from a JN interview on The Winslow Boy by Jane Wollman Rusoff for Entertainment News Service, 6/1999. The JN audio recordings I mentioned that aren’t reviewed by Gill elsewhere in the Jer Blog are: The Silver Chair, by C.S. Lewis, HarperAudio (2004); Brideshead Revisited (abridged), by Evelyn Waugh, CSA Word (2008); Our Man in Havana, by Graham Greene, CSA Word (2009). They are readily available from the usual outlets in both CD and downloadable audio format, as is most of JN’s superb audiobook work. As always, thanks to Gill for allowing me to contribute to the Jer Blog and for doing such a terrific job choosing the pictures that accompany my posts. 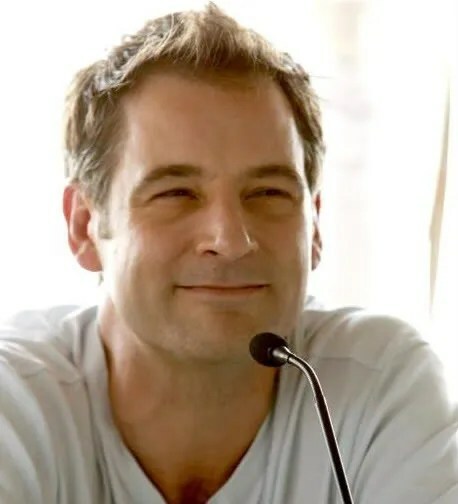 Jeremy Northam has established himself as one of the most sought after and skilled audiobook performers, garnering excellent reviews for his intelligent interpretations of novels including Brideshead Revisited and Our Man in Havana. I’m delighted to be able to tell you that Jeremy has, yet again, been spending time in a recording studio on behalf of CSA Word audiobooks. 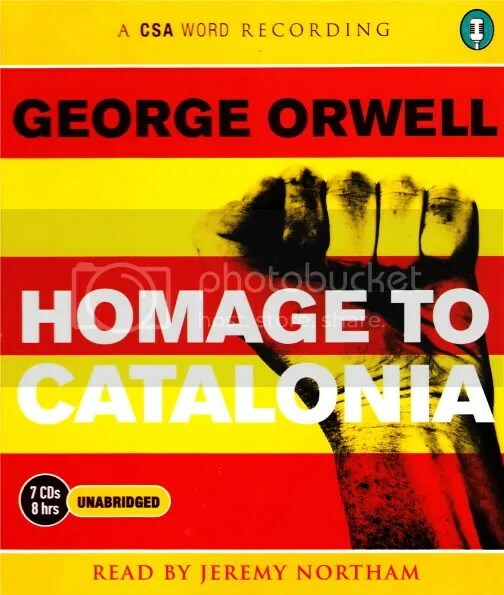 He’s just completed an unabridged reading of Homage to Catalonia, George Orwell’s account of his experiences in the Spanish Civil War, first published in 1938. 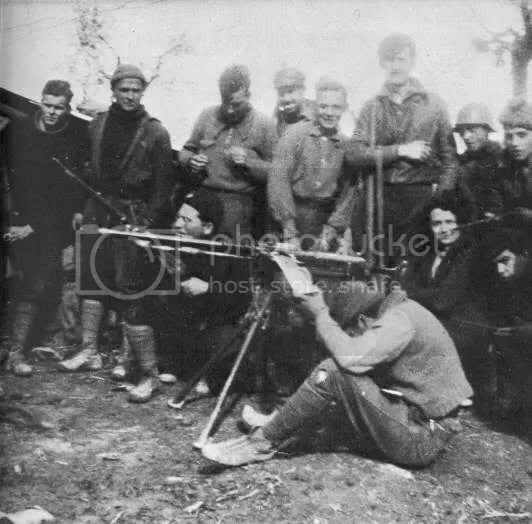 Homage to Catalonia recounts the truth of the situation as Orwell, a political journalist as well as a novelist, saw and experienced it. 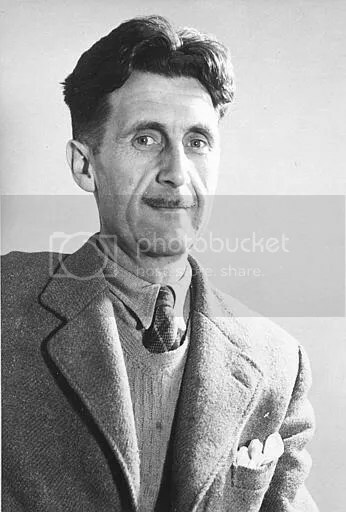 His descriptions of the fighting between factions nominally on the same side and his unflinching observations made the book unpopular on publication, but today its honesty and Orwell’s undoubted skill as a writer make it invaluable as an accurate document of the time, so much so that it has been used in Catalan schools. 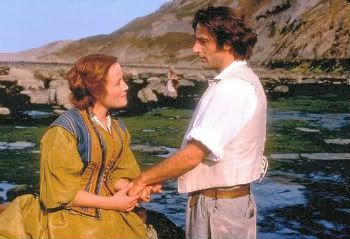 It will, of course, be considerably enhanced by Mr Northam’s perceptive and skilled interpretation. 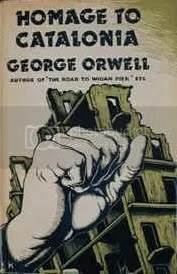 This is the second George Orwell book Jeremy has recorded for CSA Word. The other is his wonderful reading of Down and Out in Paris and London, of which more very soon. 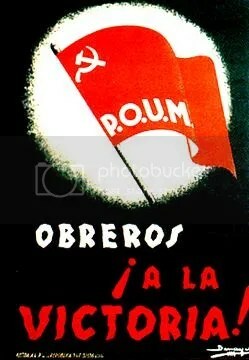 Homage to Catalonia will be published by CSA Word in May this year. It’s already available to pre-order at Amazon UK: http://tiny.cc/fg4oa.